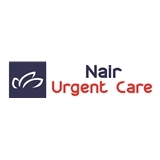 Nair Urgent Care (Long Beach) - Book Appointment Online! Went in with shortness of breath thinking heart ailment. Diagnosed with walking pneumonia. First round of antibiotics feeling great! Much appreciated!